At the edge of the sixth-largest wilderness area in the continental United States, Tippet Rise is a vast and wild landscape itself: one of undulating hills cleaved by canyons. A place crisscrossed by herds of mule deer and antelope, where birdsong swells in spring and, come autumn, the quavering notes of an elk bugle reverberate across the land, arcing over the aspens’ golden thrush to weave with the knell of geese migrating through a vast, uncluttered sky. At Tippet Rise, winter almost always comes early and then it persists, sometimes until the calendar reminds us that, truly, it is almost summertime. 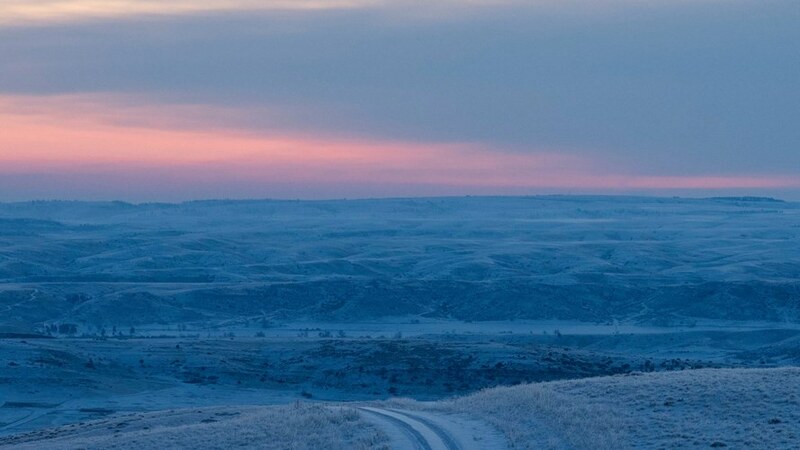 Produced and narrated by the art center’s Production Coordinator, Zachary Patten, and mixed by our Audio and Technology Systems Manager, Monte Nickles, our latest podcast showcases wintertime at Tippet Rise through the lens of poetry by the art center’s co-founder, Peter Halstead. A writer, pianist, and photographer, Peter is the author of seven books of poetry. It is his latest book, A Winter Ride, that is the focus of this podcast. To listen to Winter Rise, which features Red Arc / Blue Veil by John Luther Adams, performed by Vicky Chow and Doug Perkins, with poetry read by the Tippet Rise staff, please visit the link below.